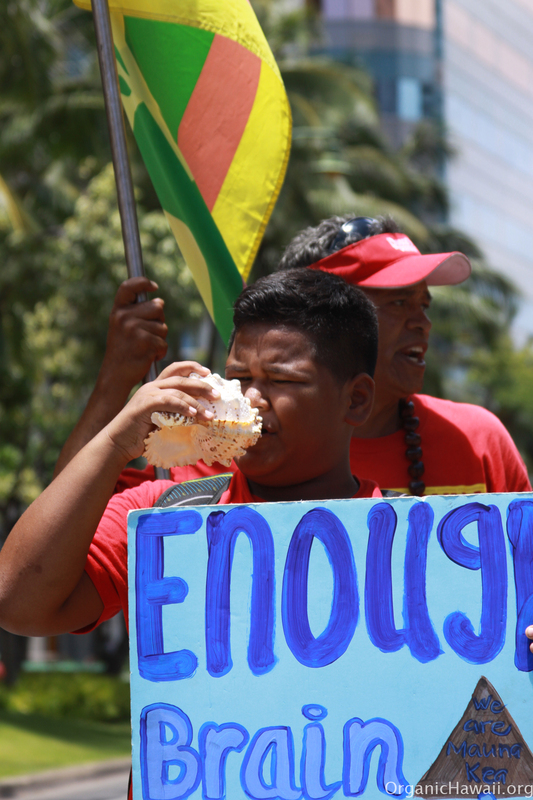 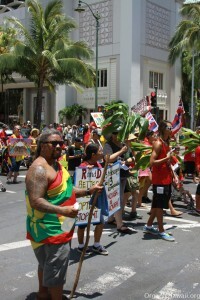 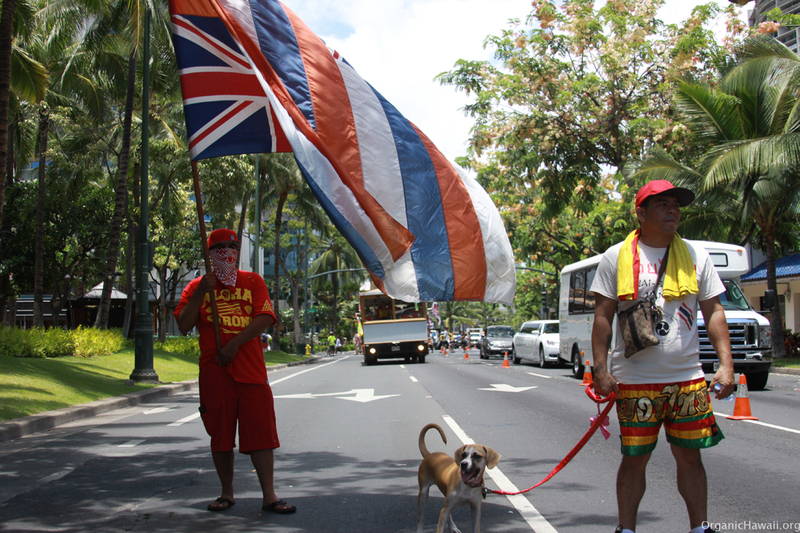 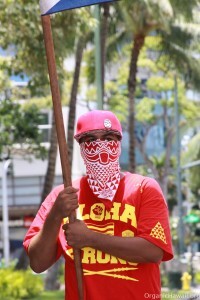 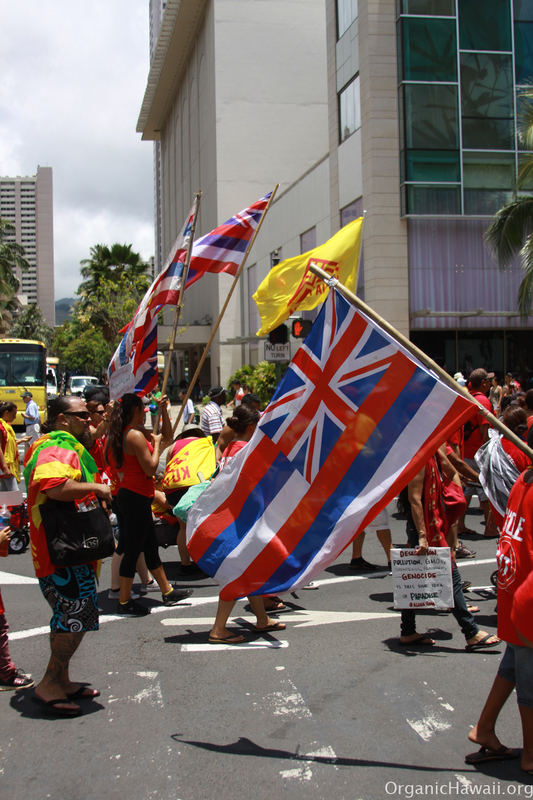 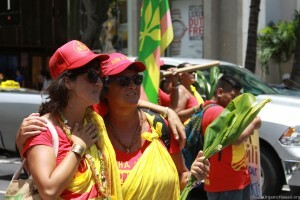 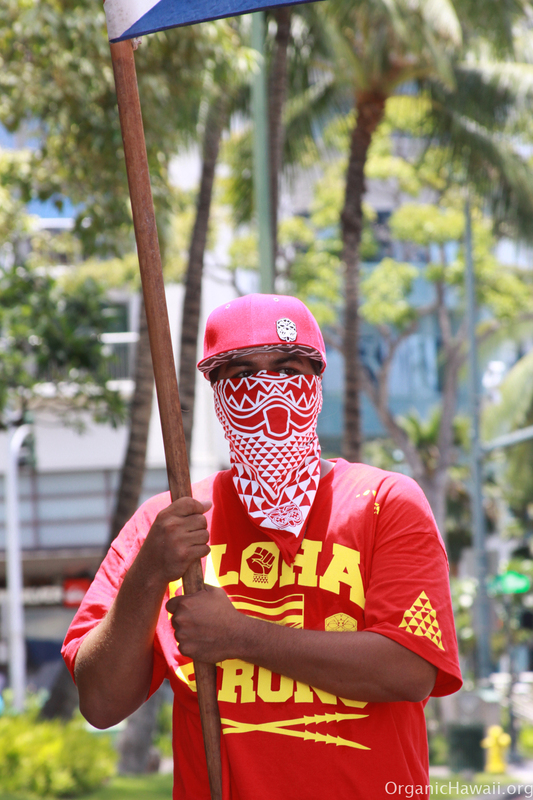 Aloha Aina Unity March took place in Waikiki, Honolulu, Hawaii on August 9, 2015. It was a Sunday morning event, with lots of people and groups gathering on Saratoga Avenue. 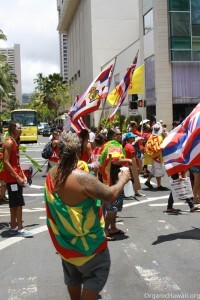 The march started at about 10:30am and went through the entire Waikiki strip. 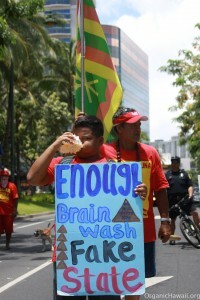 Around 10,000 participated. Crowd turn out was so large that even though Kalakaua Avenue is nearly straight it was impossible to see the beginning or the end of the Aloha Aina Unity March. It was also interesting to witness an event of this social magnitude and size against the backdrop of the worlds top luxury brands’ flagship retail stores such as Prada, Chanel, Gucci, Tiffany & Co, Louis Vuitton, Swarovski, etc. situated on the world’s third most expensive real estate leases – on Kalakaua Avenue ($300/sf/mo). 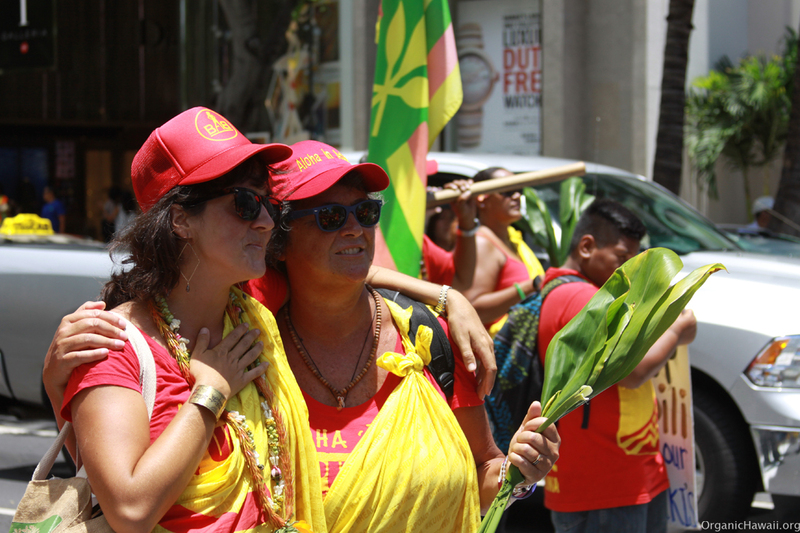 Some of the main reasons for the 2015 Aloha Aina Unity March event were: protecting Mauna Kea (the most sacred place in Hawaii and Polynesia) from the largest telescope in the world, social and civil justice (policy brutality sweeping the U.S., U.S. federal government overturning local laws), sustainability, protection against GMO pollution and pesticide drift, as well as upholding local laws against GMOs, TMT development, sovereignty, environmental preservation, and against over-militarization in Hawaii, Japan, and elsewhere. Lots of people brought their families including little kids, newborns, and the elderly. 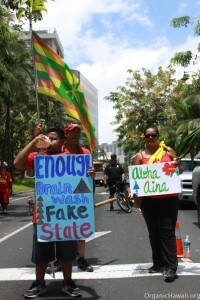 Kids were helping out and passing out information flyers about the event. 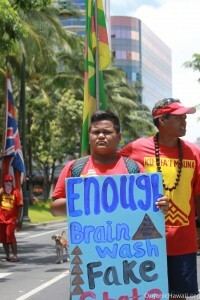 Many children made their own signs in the form of original artwork and writing. 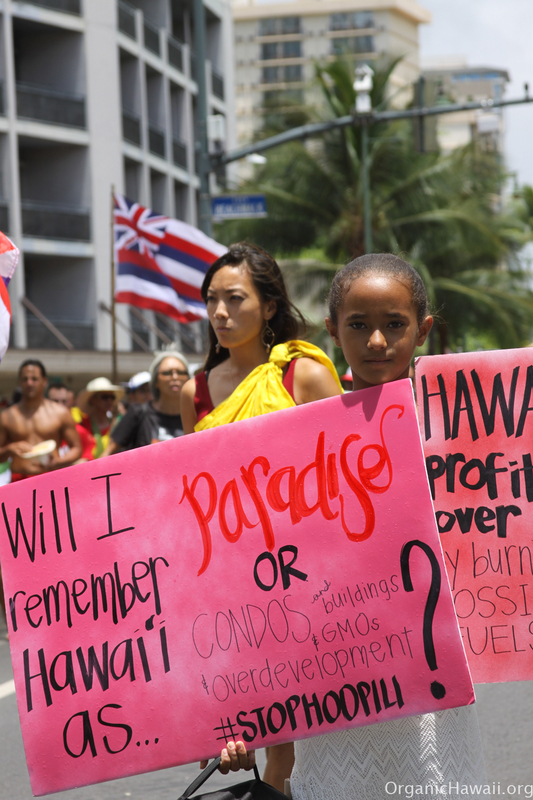 They marched alongside their parents many in the front lines of the parade sections, while others were inside the group with their families. 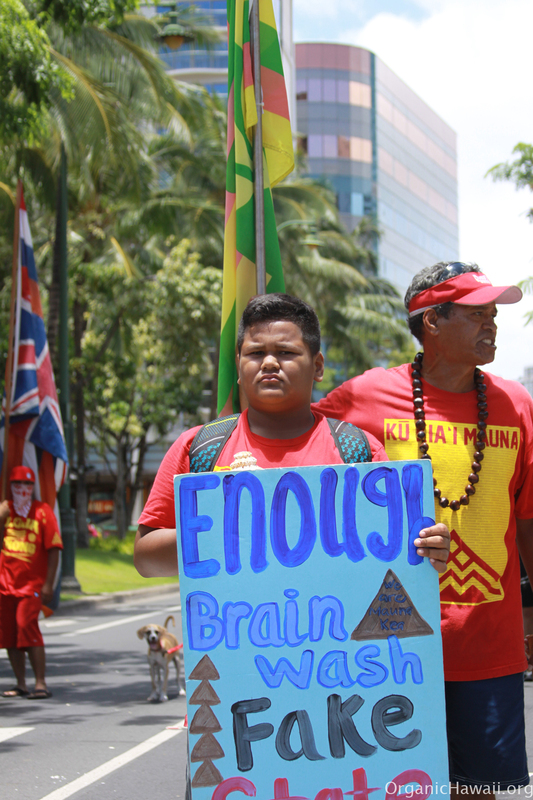 Most kids walked while others were carried by their parents, were in a stroller or a cart. 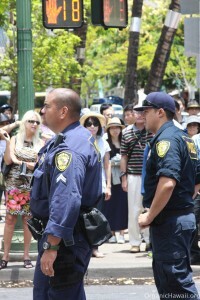 The whole of Waikiki strip alongside Kalakaua Avenue was teeming with Honolulu police who were riding bicycles up and down the street and regulating the one lane of traffic that was open. 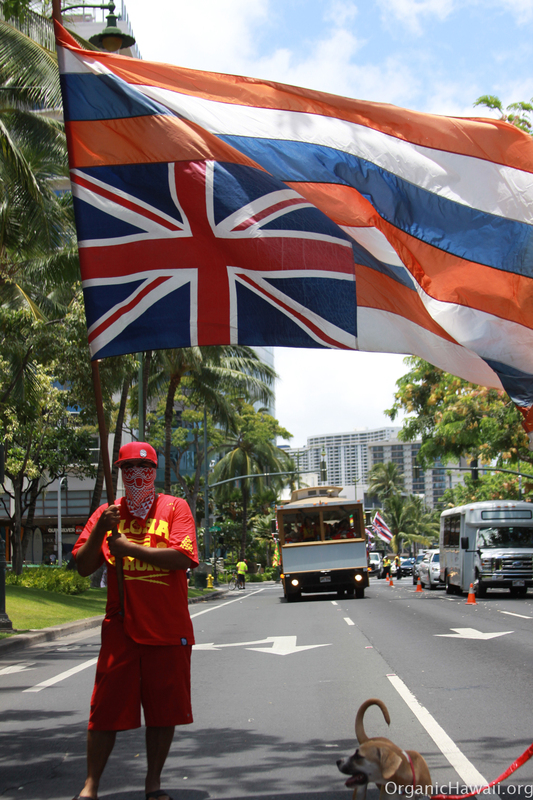 Traffic was a nightmare for those unfortunate travelers who didn’t get to be on foot during, before, and after the parade.